As we approach another Hurricane season in New Orleans nearly 5 years removed from Katrina, I am thankful that the dedicated efforts of Louisiana musicians to bring back the music, our city’s greatest asset. Many musicians have returned, many commuted from cities like Houston and Atlanta for occasional gigs until they could re-plant their roots here, and many remain displaced. In May 2007, I interviewed pianist Henry Butler, clarinetist Evan Christopher, and guitarist Pete Alba, all of whom were displaced after the storm, and asked them to reflect on the New Orleans music community and to articulate what makes it so special and why they miss home (Christopher has since returned to New Orleans). Here’s what they had to say about the wonderful community of New Orleans musicians. 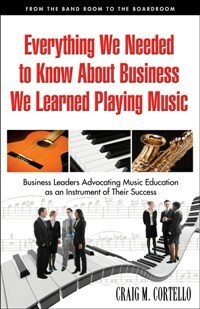 “There is so much in jazz music to be studied and to be learned, and so little education. I could go on and on and on, just about what Duke Ellington did. 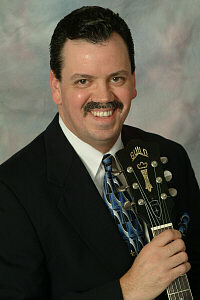 And, also the romantic connotations of the music. The music had the effect of liberating a lot of the people from this Victorian image of sexuality. But, for some reason people still think they need to be liberated from that. This is something jazz music was doing around the turn of the century. And, now it’s degenerated in the modern era to the type of vulgarity that is represented by rock and roll, which parades under the guise of giving you sexual freedom, when it’s really, truly, sexual repression. To read the entire transcript go to Achievement.org. 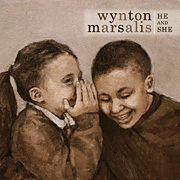 To sample Wynton Marsalis’s He and She album, click here. To read my review of He and She for Where Y’at magazine in New Orleans, click here.